SPL Group was created 30 years ago, products are manufactured exclusively in Europe at four state of the art production sites employing over 150 people, with a turnover in excess of €29 million in 2016. As a manufacturer, we believe we consistently provide the best value, products and technical experience available. SPL is recognised for quality, consistency, packaging & respecting manufacture times. All products carry a guarantee over and above the norm. We do not sell directly to the end users within the market place but instead deal exclusively with distributors within the UK who then sell our product direct to the end user. Ensuring buyers receive a high level of local service, advice, expertise and quality products; while our partners can count on the continuity of supply and 30 years of experience & knowhow. Closer integration, transparency and trust are key drivers of our success. There is a level of trust in both directions, which surpasses the normal supplier – distributor relationship.We are a committed supplier who has the partners’ best interests at heart and are passionate about developing sustainable answers. 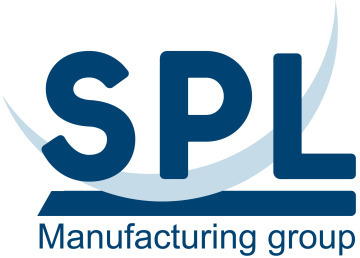 SPL operates as a key part of a partners’ business; offering guidance and advice when needed; sales and installation training, site audits and help with planning and implementing strategic marketing plans. Industrial Yellow & Black Accident prevention Mirrors. To avoid collisions at blind spots on Industrial sites and in warehouses. Watch all the unique features of a Vialux Mirror.